Classic III 15X8 with 5X4.50 Bolt Pattern 3.625 Back Space Polished. 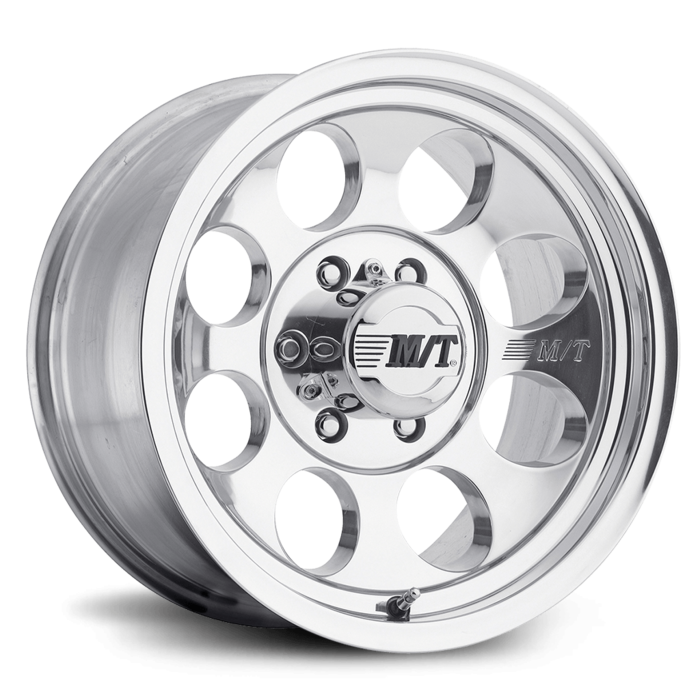 The Mickey Thompson Classic III wheel features the classic 8-Hole design in a highly polished finish that includes matching polished hand holes. The embossed M/T logo is assurance of quality, strength and dependability. The Classic III is available in sizes 15x8 through 17x9. All Mickey Thompson Classic Series, SideBiter, and M/T Metal Series wheels require (60-Degree) Bulge Acorn (Cone Bulge) Seat Lug Nuts. Mickey Thompson recommends Duplex Bulge Acorn Lug Nuts on vehicles of GVWR of 6,500 lbs. or greater. All Deegan 38 Series wheels use 60 Degree Conical Bulge Seat lugs but will also accept E/T Style lug nuts which provide a lug-centric installation. For All 6x5.5 Bolt Circle Wheels: Hub Centering Ring included for late Model Chevrolet/GMC applications. Center caps are not available for certain applications including 1997 and earlier Ford 3/4 and 1-ton pickups, 2002 and earlier Dodge/Ram 3/4 and 1-ton pickups, 1986 and earlier Jeep, CJ models and earlier Toyota Land Cruiser models. Open caps are available for 5, 6 and 8 lug Classic Series wheels, separately. Note: All dual drill wheels in the MT Metal line are cover-style caps—no exposed lugs.